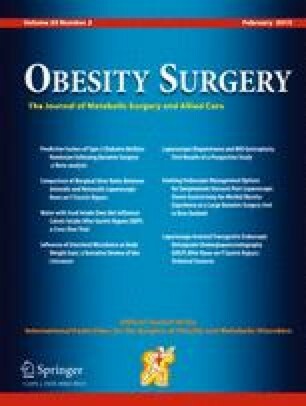 Bariatric surgery produces a substantial weight loss and improves the comorbidities associated with obesity such as diabetes mellitus and dyslipidemia, although inability to lose weight or weight regain has been estimated to occur in 20 % of cases. The objective of the present study was to assess the influence of weight variations on biochemical indicators during a 4-year period after bariatric surgery. A 4-year retrospective longitudinal study was conducted on 138 patients with grade III obesity submitted to Roux-en-Y gastric bypass, with the assessment of anthropometric measurements and biochemical indicators. The patients were divided into two groups according to percent excess weight loss (%EWL): %EWL > 50 % and %EWL < 50 %, and into two groups according to weight regain: <10 % and >10 %. The Student t test for independent samples was used to assess the differences in biochemical indicators between groups (p ≤ 0.05). Four years after surgery, there was a weight loss of 49.4 ± 21.8 kg and %EWL of 61 ± 21.2 %, with 73.2 % (n = 101) of the patients showing %EWL of 50 % or more. Significant weight regain occurred in 24.6 % of the sample. There was a difference in weight, BMI, total cholesterol, LDL-cholesterol, triglycerides, and albumin between patients with different %EWL. No difference in biochemical indicators was observed between subjects with and without regain. Four years after surgery, greater %EWL was associated with a better lipid profile. In addition, weight regain did not change the biochemical indicators of this patient series.